I don’t recommend a lot of nutritional supplements, since I prefer that people get what they need from nature as much as possible. However, there are TWO things that we desperately need to GET healthy and STAY healthy. The first is HIGH levels of Omega 3 (GOOD fat), and the second is LOTS of antioxidants. The problem with most Omega 3 supplements, though, commonly known as fish oil, is that the supplements, especially when taking in high amounts, taste and smell like fish. 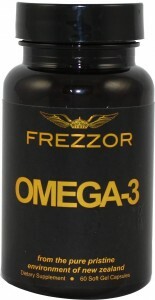 I’ve been taking FREZZOR for quite some time and was THRILLED when I realized there is NO taste and NO smell. It’s also loaded with some of the most powerful antioxidants on the planet. To see more about this, please visit www.teamfrezzor.com/drgregg. Take the first step towards relief by calling our Phoenix practice today and making an appointment to discuss your health goals.